The coffee shop rocks some stellar music this morning. 1901 by Phoenix blasts through the speakers as I sit in the back corner watching the locals swing through and converse around the shop. The Sit and Stay Café houses a bookshelf where patrons can exchange reading material. There are piles of old books and ironic literature. “Tears of the Giraffe” stands out as I turn to the lady next to me and she calls out, “Excuse me?” She asks me if I know which coffee is the best? I look up from The Orange County Register and lean slightly forward to suggest the one on the far right. After she fills her mug, she swings back to her seat and we begin to engage in conversation. She is a delightful older woman with a southern accent and bright blue eyes. She tells me that she is from Texas and visiting her daughter and son-in-law here in sunny California. She talks about seeing her grandchildren and how excited she is to spend time with them. I smile back, ask questions, and express admiration for the exchange that took place. I get back to my breakfast sandwich and black coffee as I sift through the newspaper. I watch as two young girls take a photo and discuss uploading it to Instagram. This leads me to immediately think of hashtags, which leads me to think of texting. Then, I am reminded of a time when passing notes was cool. 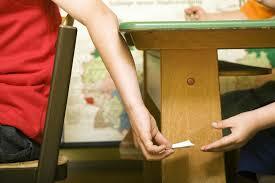 In school when you wanted to elicit the attention of a friend or chat, you had to pass a note. I recall intricate folding and the rush of passing it so the teacher wouldn’t see. A thrill in its own right. A friend and I reminisced about dial-up the other day. She recalled her parents having to get two phone lines because you could not use the internet and be on the phone at the same time. There was a time when we still had to be patient. The lady in the coffee shop was in her 60s, nearly 30 years older than me and these girls were probably around 15, so about half the age gap. I feel slightly removed from social engagement via app. What happen to conversing in the coffee shop or asking a stranger a question or engaging in a conversation? I will tell you what happen. #facebook #instagram #snapchap #socialmedia. All of this seems to be causing something more than just a lack of communication. It causes a lack of thrill, a lack of adrenaline, and a lack of excitement. We are tagging photos and selfies everywhere we go. We want to project happiness without truly understanding what it takes to grasp it. There is no grace for messes. We are gaining more control and causing more anxiety in a world where letting go and learning how to handle change are very important. We online date as a result of the downfall of present and personal communication. We become neurotic. We become impatient. The lyrics of 1901 still play. “Watch them build up a material tower. Think it’s not going to stay anyway. Think it’s overrated.” The dynamics of human relationships have not changed much in those 45 years from the teens I see to the older woman I speak with, but so much has changed in our means of communication. I am proposing that ten years ago, we knew how to balance lack of control in life and bounce back from change. Are we creating a generation so in control that the slightest change will cause fear? We used to have to wait for a boy or girl to write back or tell the friend if they liked us back; rejection built character. Now we swipe to the left and the fear of rejection is gone. Lack of fear or other human emotions causes us to gain more control. The more control we think we have, the less we actually do. Anxieties and fears have to be dealt with. In order to be dealt with, they have to be created. One day at the gym I overheard a man and woman chatting with one another. The woman was talking about her upcoming celebration for 23 years of marriage and he was discussing that his 40 year marriage anniversary had just passed. I remain in awe about how these couples manage to give support and love throughout the years. I also can’t help but wonder how couples today will connect and survive in today’s technology driven society. The digital age brought around a huge evolution for business and educational styles. Our daily lives have changed significantly due to search engines and social sites. But have our dating lives and our self-development increased at the same pace? Smart phones have become a great technological advance to cellphones. Have humans evolved in their dating styles or are we still T9 dating? The release of smart phones and social dating sites has left us no more savvy consumers in the dating world than we are in the public arena. If you are hoping to get out of bad dating patterns, hiding online won’t help. Give a girl who dates jerks 5 guys and she is likely to pick the 1 jerk out of the bunch. Give her 100 guys and she is still likely to pick the jerk. The real question is if your mental aptitude for dating has enough ram to keep up with the current technology. Maybe it is time to upgrade ourselves before we go fishing, get on ok cupid, download the tinder app or pay for sites like match and e-harmony. The first smart phone came out in 1993. In the last ten years smart phones are the new norm. But what has happen to our dating lives? What are the advances to our human development that are making dating better today then it was ten years ago? In a world where you have 1,009 Facebook friends and 876 Instagram followers, the only human evolution has happened to our egos. That doesn’t equate with making us more responsible dating partners. Bigger egos may make approaching another person easier as we become more aggressive, but it isn’t helping us develop compassion for being thoughtful in romantic relationships. Society might be on the cusp of social explosion. I can not tell you how many photos I have seen where guys have their pants unbuttoned and I can almost see their junk. This isn’t what I signed on for. This type of dating has allowed the douches to get even douchier (as if it was possible). I find myself erasing more messages than actually connecting on a real human level. What is socially appropriate publically weeds out that kind of behavior and nonsense. But online, anything goes. You are what you are online and offline. Whatever attitude, defenses, lifestyles, or energy that you have as a person, you will have on a computer. It is important to develop yourself with other people in mind. Sorry, Selfies, it’s not all about you.